Manly Road 24hr Veterinary Hospital by your pets side when you cannot be. If you could tangibly see love for animals in the form of say a bright star that glowed brighter with every pet that walked through our front door, that star would be so dazzling it would light the world. That star would guide home any pet that had lost its way, light your darkest of hours and you and your pet would feel the safety of its comforting glow as it shines above our Hospital that has been here for over thirty years. Thirty years of disease prevention, surgical procedures, medical proficiency, comfort, sadness, joy and indescribable relief. We are here for you and your pets 24hrs a day every day of the year. We never close. Ever. 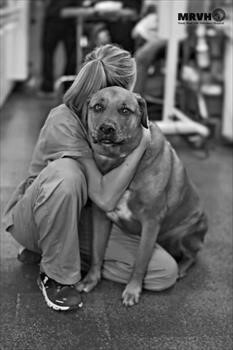 We are an Animal Emergency Hospital and Veterinary Clinic. From Castrations to Cataract surgeries, from Ultrasounds to Upper Gastrointestinal Endoscopy, from Vaccinations to skin abrasions it all happens here. Manly Road 24hr Veterinary Hospital is a culmination of exceptional Veterinary care from both the Small Animal Hospital and Equine Unit. With expansions currently underway to increase our facilities that sits on over 5 acres of land in scenic bayside suburb of Manly, QLD. We do not just treat our patients medically. To truly heal a pets body you have to comfort their soul as well. Sometimes just sitting with a patient offering a comforting touch with a soothing voice can have them home with you again in no time. Medicine is an irreplaceable tool but our Team are the vessels that provide the freedom from physical and emotional constraints. We are your Manly Road 24hr Veterinary Hospital and we are here for you. Your pets are members of our family and we do not forget you when you walk out the door. We are only here because of you, for you and we need you as much as you need us. It’s a partnership. A Pet Partnership.